Phyllis was licensed in 1995, and holds 5 designations: GRI (Graduate Realtor Institute--only 30% licensed agents hold); and ABR (Accredited Buyer Representative--only 20% licensed agents hold); and a CRS (Certified Residential Specialist--only 16% of all licensed agents hold); and CNE (Certified Negotiation Specialist -- less than 2% of licensed agents hold); and ePRO (Certified Internet Professional). She was also named to the RE/MAX Hall of Fame. 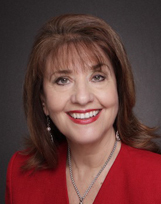 Phyllis is an expert in Residential negotiations and knowledgeable in all aspects of real estate sales and contracts. Specializing in Alamo Ranch, Sonoma Ranch, Helotes, North Central and Northwest areas of San Antonio, Boerne, Fair Oaks and Bandera, Texas. My prior 20 + years as a legal/administrative assistant (which included 6 + in real estate law) has proven to be invaluable in my real estate career. I strive to provide my clients with the same professionalism, integrity and commitment as I did in my legal career.